Since releasing his first indie CD ‘241 Dead End’ in 1999, Melbourne based singer songwriter Dom Italiano has continued to perform and release his unique brand of quality, quirky and engaging songs. 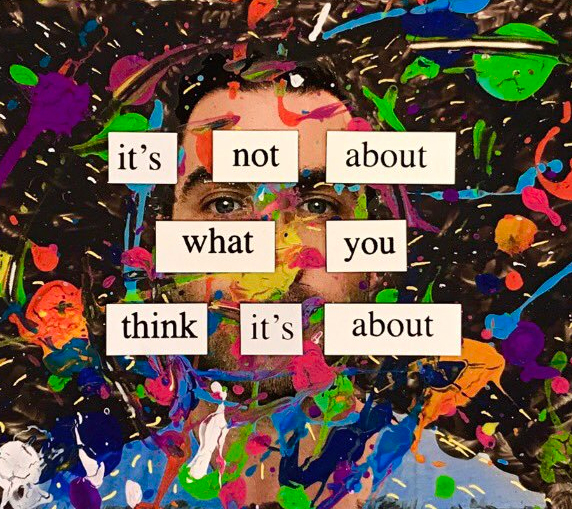 Dom has just released a new, crowd-funded EP titled It’s Not About What You Think It’s About and will launch it at Wesley Anne in Melbourne on the 10th of March. Dom has been gaining much kudos of late for the audio quality of his Facebook Live broadcasts and was kind enough to set up a session with us on March 6th, in which we spoke about the creation of his EP and he played some tunes off the record. For the aid of any other artists seeking to improve the quality of their Facebook live sessions, Dom also ran through his broadcast rig for us. The gear chain begins with a mixing desk. 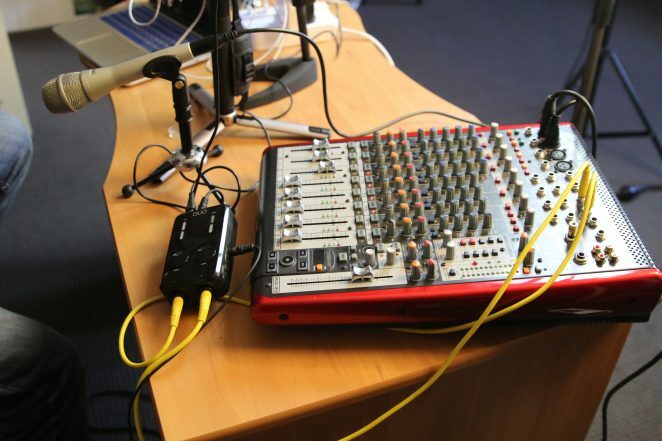 Dom uses a Behringer UFX1204, 12 input mixer, which you can pick up in Australia for around $735 at the moment. However there are many other mixer options such as the Yamaha MG series. Their 6 input MG06X would do the job at $225rrp but we’ve seen them for less. The Presonus StudioLive AR8USB, 8 channel Hybrid performance and Recording mixer is also a great option at around $599. 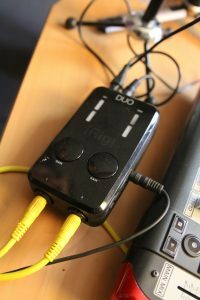 From the mixer, Dom goes into the IK Multimedia iRig Pro Duo, a universal dual channel Audio-MIDI interface for, iPhone, iPad, Android and Mac/PC which you can buy for $300. Dom sees the iRig Pro Duo as the essential addition that gets the desk audio to Facebook Live via the phone. From the iRig Pro Duo’s output line he then goes into his smart phone. The vocal microphone going into his mixer is a Beta 57 but you can choose whichever mic you like. Also going into the mic is a Triton Audio FetHead a low-noise, high quality, in-line microphone preamplifier. Dom finds that the FetHead reduces noise bleed from the room and beyond. Dom also uses a second microphone, a Shure KSM9 at guitar level to capture a better guitar sound but for the purposes of a live broadcast, it’s not essential. 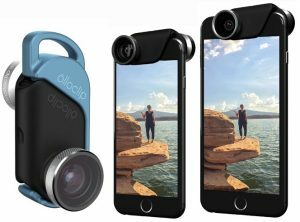 The other element Dom utilises to capture a wide screen view is an Olloclip wide angle smart phone lens which you can pick up for around $160. This means that Dom can get close to the mic for better audio but the audience can still see a full view of him and his guitar. Without the wide angle lens, if Dom was to get close in to the mic, his guitar would not be seen. The last remaining piece of gear used by Dom is a cheap set of box lights, which you can generally find for around $100 but a desk lamp will do instead of the light box or just set up in a naturally lit room. Oh and a good set of headphones to set your audio levels is a good idea as well. Also once the Facebook Live broadcast is complete and you save the video for re-broadcast (posting), make sure you save it as HD for better quality replay. It will take a little longer to upload but it is worth it for the quality. Dom suggests that it might look like a lot of gear but a gigging musician will probably own/have access to a mic, desk, tripod, & smartphone. “You can easily live without the 2nd mic, FetHead and wide angle lens (if you’re handsome, people will be happy to see more of your face and less of your instrument),” says Dom. In the video below, Dom discusses all of the gear used.